Dab on an extract fit for a king while experiencing wildly refreshing citrus notes. 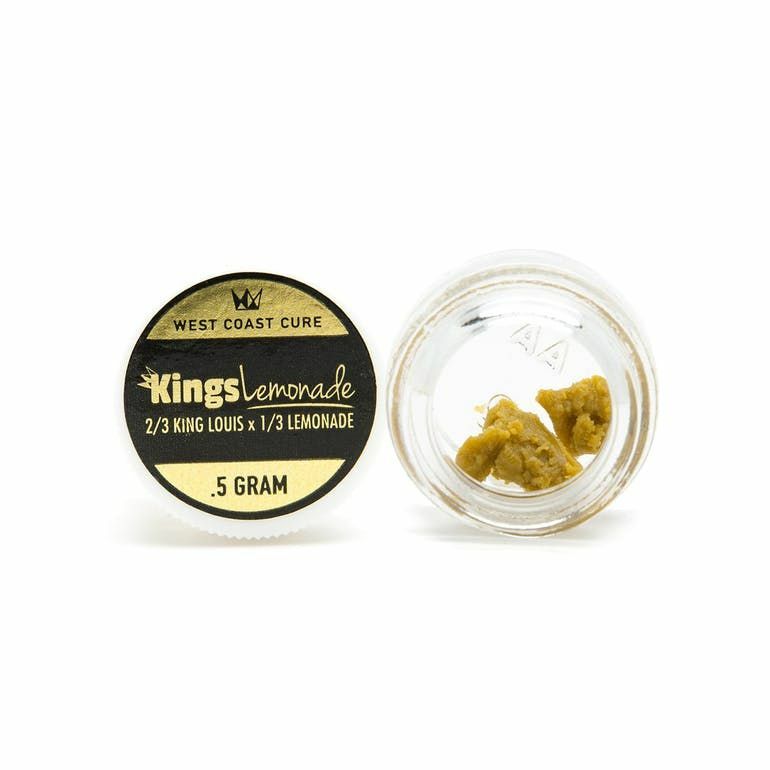 West Coast Cure’s Kings Lemonade Badder is derived from premium cannabis flowers then extracted to perfection. First, Kings Lemonade flowers are cultivated in their ideal condition, allowing the flowers to reach their peak genetic potential. Then after harvest, West Coast Cure’s extraction artists go to work isolating the plant's cannabinoids and terpenes, leaving only the pure essence of the strain.